On Wednesday, September 10, director Zack Snyder gave us an official look at the new Batmobile that will be in the movie "Batman v Superman." How does this one stack up against past on-screen versions? In the '60s TV series "Batman," Adam West cruised around in style with the wind in his cape. 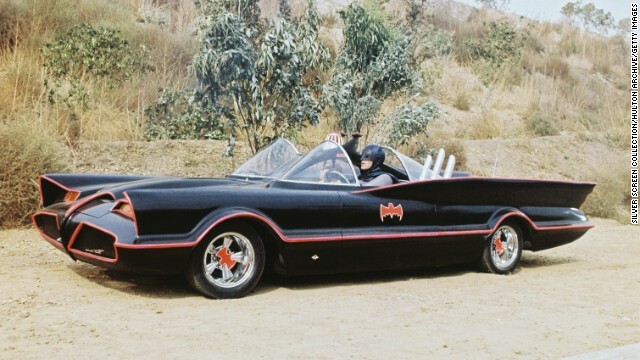 This early on-screen Batmobile was based on the Ford Motor Co.'s 1955 Lincoln Futura concept car. 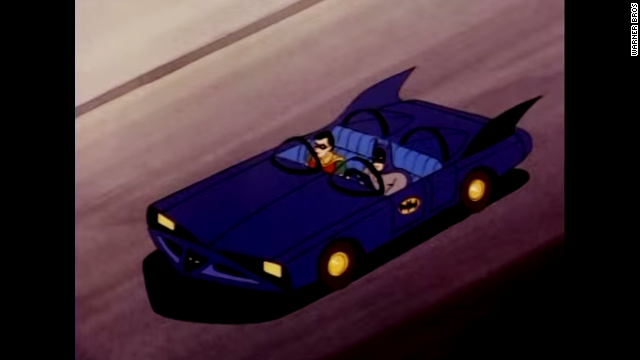 The animated 1973 series "Superfriends" featured Batman riding around in a similar vehicle, this time with sharper wings and a bluish hue. In 1989's "Batman," the superhero came zooming onto the big screen in a sleek, speedy ride befitting of a Dark Knight (played by Michael Keaton). Controlled by voice, this Batmobile wasn't just about looks; it was also tough thanks to its protective shields. 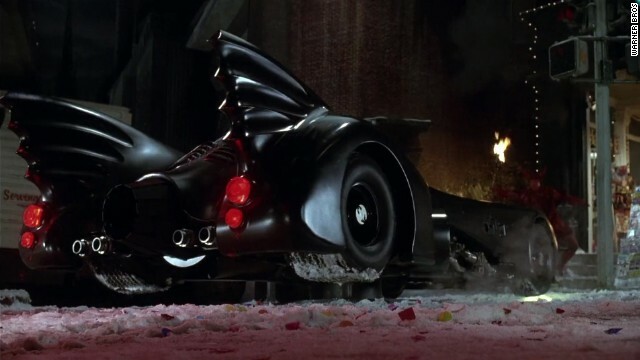 Having established that Batman rode around in the equivalent of a incredibly upgraded sports car, 1992's "Batman Returns" kept the Batmobile as a fierce, enviable automobile that even a non-superhero would want to drive. 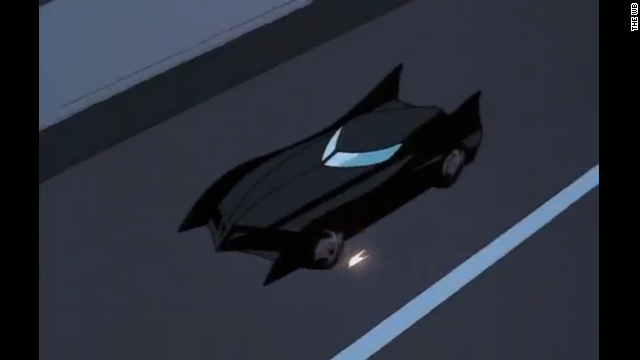 Playing off 1989's shift toward more streamlined Batmobiles, the vehicle seen in 1992's "Batman: The Animated Series" was a lengthy gothic number outfitted with all sorts of crime-fighting accents. 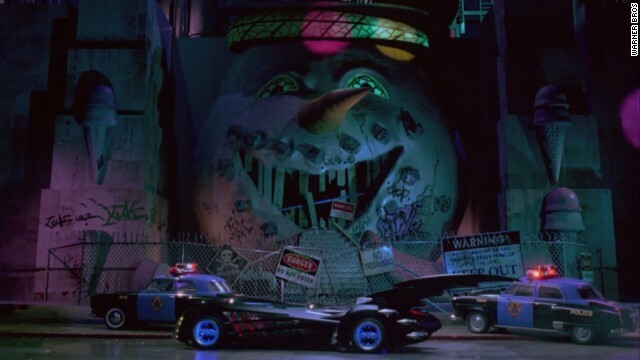 1995's "Batman Forever," starring Val Kilmer as the Caped Crusader instead of Michael Keaton, also gave the Batmobile another pass. It's details were more exaggerated, with a pointed nose and a design made to emulate ribs and wings. 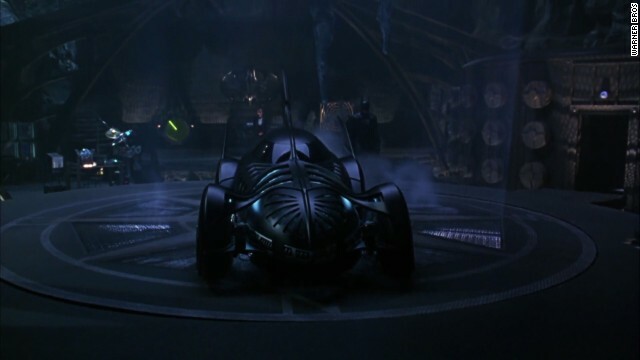 When George Clooney and Chris O'Donnell paired up as "Batman & Robin" in 1997, the Batmobile looked like a composite of the cars that had come before in the previous three films. A little sharper than the "Batman Forever" ride but hardier than the one in "Batman Returns," this Batmobile was a single-seat convertible. 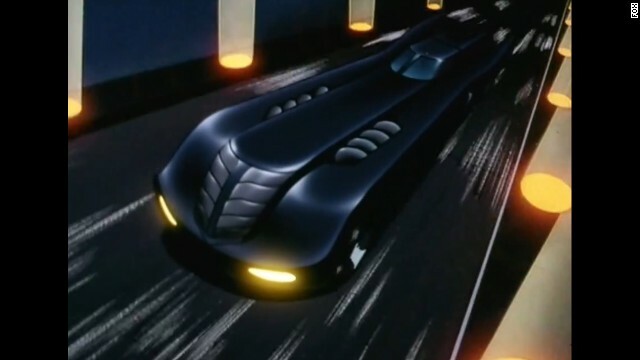 When "The New Batman Adventures" began airing in 1997, its Batmobile seemed to take notes from the '90s Batman films. When Christopher Nolan crafted his own Batman saga, beginning with "Batman Begins" in 2005, we entered a new era of Batmobiles. This version, called the "Tumbler," was far more substantial than prior iterations, and it was capable of both protection and attacks. 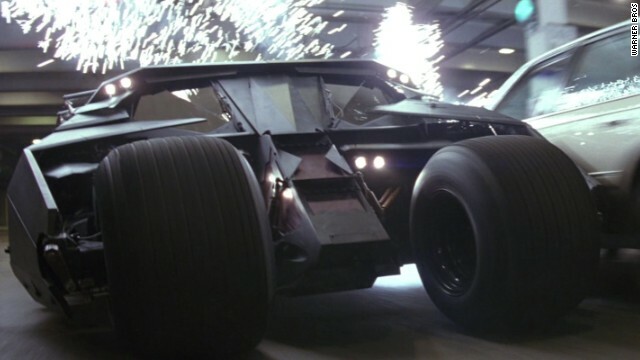 The Tumbler returned in 2008's "The Dark Knight" with an extra-cool feature: It housed a motorcycle. 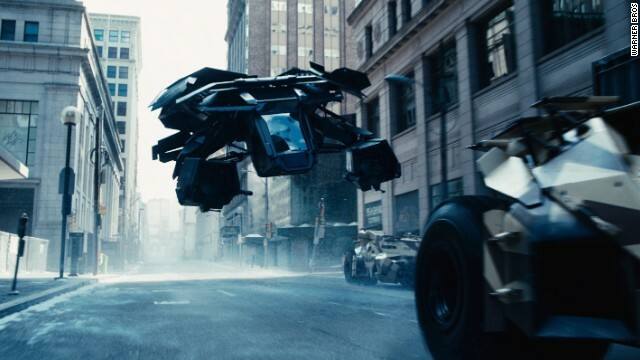 By the time we got to "The Dark Knight Rises" in 2012, Batman put aside the Batmobile and got around Gotham City on "The Bat," which could get the hero off the ground. 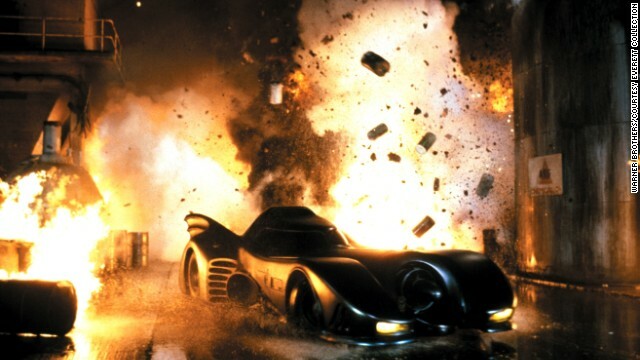 (CNN) -- The Batmobile has come a long way from flashing lights and tail fins. 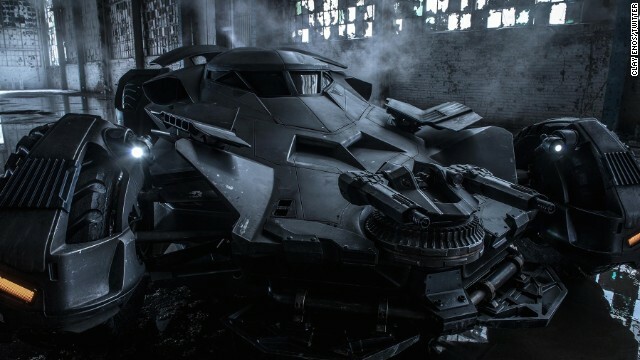 On Wednesday night, the world got an official look at the newest version of Batman's ride, and it's more of a tank than a car. Zack Snyder, director of the upcoming "Batman v Superman," released an image of the militarized machine on Twitter. With double guns in the front, it's one of the more weaponized versions the movies have ever seen. Some fans think the double-barreled hood ornaments might be a bit much for a superhero who isn't supposed to use guns. 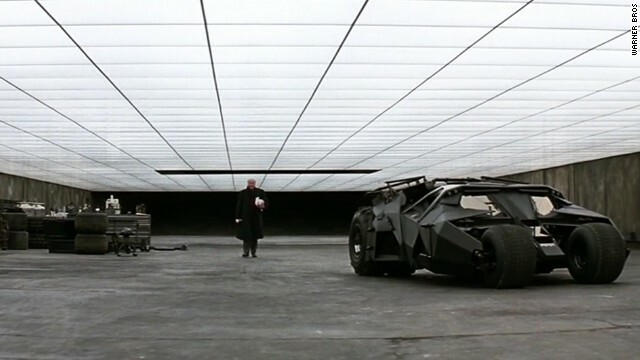 Some day we're going to stop putting guns on the Batmobile, right? But there are still plenty who think this version is very cool. "Allow me to take a moment to marvel in #zacksnyder 's vision of the #batmobile for #batmanvsupermandawnofjustice," musician Chris Daughtry posted on Instagram. "He is the KING of comic book movie visuals." Snyder's picture has been retweeted more than 13,000 times. "Batman v Superman: Dawn of Justice," which stars Ben Affleck, Henry Cavill, Amy Adams, Jesse Eisenberg and Laurence Fishburne, is scheduled to premiere on March 25, 2016.